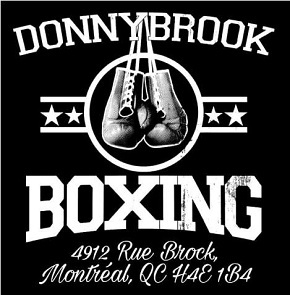 In the long history of boxing, few trainers have had the impact of Angelo Dundee who died of an apparent heart attack in Florida yesterday. He was 90 years old. 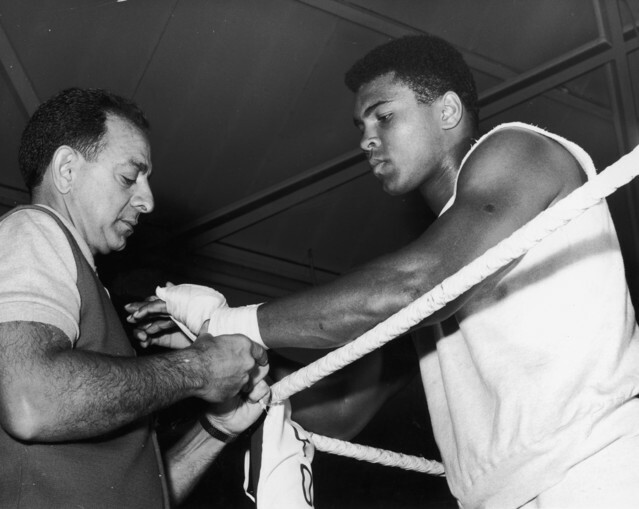 Dundee will be best remembered for being the main man in Muhammad Ali’s corner throughout his career, but he worked with a number of other world champions including Carmen Basilio, Luis Rodriguez, Jimmy Ellis, Sugar Ray Leonard and George Foreman. His positive personality and upbeat outlook provided a rare ray of light in a sport too often characterized by the darkness of deceit and greed. Dundee was an incorrigible optimist, renowned for never having a bad word to say about anyone, a trait which no doubt helped him to work effectively with so many talented boxers. As he explained, he would rarely criticize a boxer’s technique, but instead subtly use praise and encouragement to steer a budding prospect in the right direction. 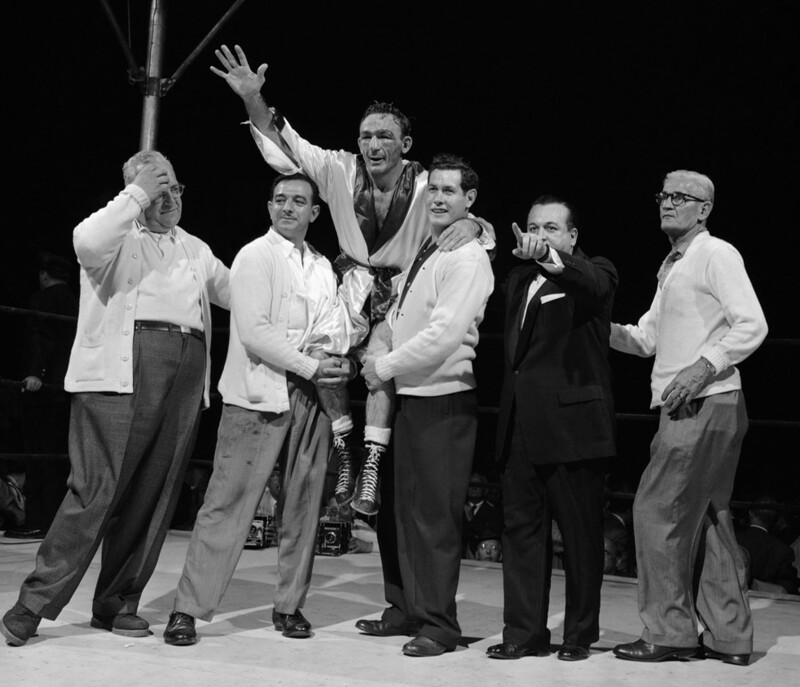 Dundee (second from left) with Carmen Basilio. His positive outlook had much to do with his widely acknowledged gift of being a supreme motivator in the corner. At key moments during tough fights, Dundee found the right words to spur his fighters on to supreme efforts. 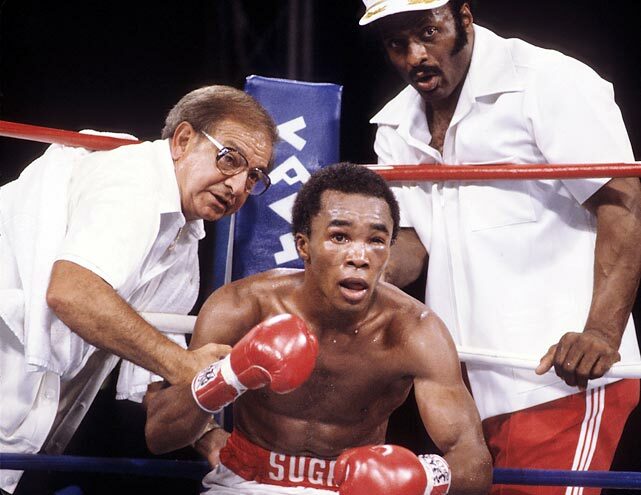 Perhaps the most famous example of this took place after the twelfth round of Sugar Ray Leonard’s dramatic win over Thomas Hearns in 1981. With Leonard behind on points and only three rounds left to go, Dundee laid it on the line: “You’re blowing it now, son. You’re blowing it! You’ve got to be quicker, you’ve got to take it away from him! ” Leonard responded, charging out at the bell and overwhelming Hearns with a barrage of rapid-fire punches, reversing the fight and stopping Hearns in the next round. Dundee with a young Muhammad Ali. Similarly, people forget that without Dundee’s cool head and quick thinking in the corner, the legend of Muhammad Ali may never have come to be. In Ali’s first bout with Sonny Liston for the heavyweight championship in 1964, he returned to his corner after the fourth round complaining that his eyes were burning, that he couldn’t see. The then Cassius Clay began to panic, calling for Dundee to cut off the gloves and show the world something was wrong, that Liston and his people were using dirty tactics. Dundee stayed calm and told his young charge this was out of the question. With Clay continuing to shout that he couldn’t see, and with the referee beginning to wonder if he should stop the contest, Dundee took charge: “This is the big one, son, the world championship. Now get out there. And run!” A half-blind Ali circled the ring and fended Liston off until his eyes began to clear. He then went back to cleanly out-boxing the powerful champion. 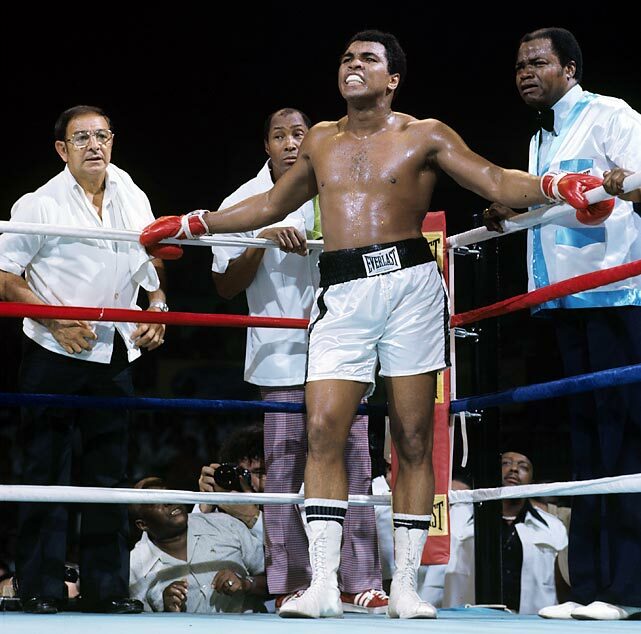 Thanks to Dundee’s calm counsel, instead of Ali quitting after the fourth round, it was Liston who quit after the sixth. 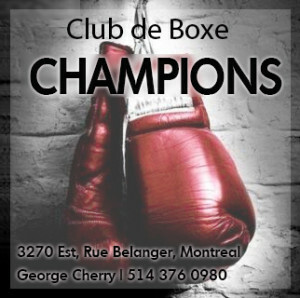 Dundee got into the boxing game thanks to the influence of his older brother, Chris Dundee, the famed manager, promoter and matchmaker, who put his younger brother to work training fighters in New York City. 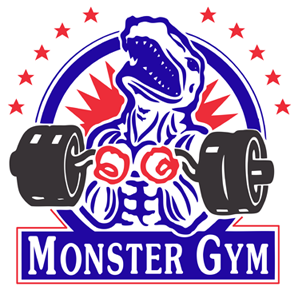 When Chris moved his headquarters to Miami Beach in 1950 and opened the soon-to-be famous Fifth Street Gym, Angelo followed. By that time he was a knowledgeable corner man, having worked in New York with such trainers as Charlie Goldman, Jimmy Wilde and Chickie Ferrara. Soon he was helping train world champions like Carmen Basilio and Willie Pastrano. As the story goes, Dundee was with Pastrano when they were paid a visit from a young amateur prospect named Cassius Clay who asked a hundred questions about boxing and pledged he would soon win an Olympic gold medal. A few years later, after Clay made good on his promise, they began working together and the rest, as they say, is history. In the latter years of his career Dundee worked with David Love, Michael Nunn and Pinklon Thomas, among others, and then helped guide George Foreman to his second heavyweight championship in the early 90’s. He never really retired, consulting with dozens of fighters and maintaining a profile at major boxing events and the annual ceremonies at the International Boxing Hall of Fame in Canastota, NY. Most recently, he appeared at the gathering to mark Muhammad Ali’s 70th birthday, despite the fact he had to navigate downtown Louisville in a wheelchair. 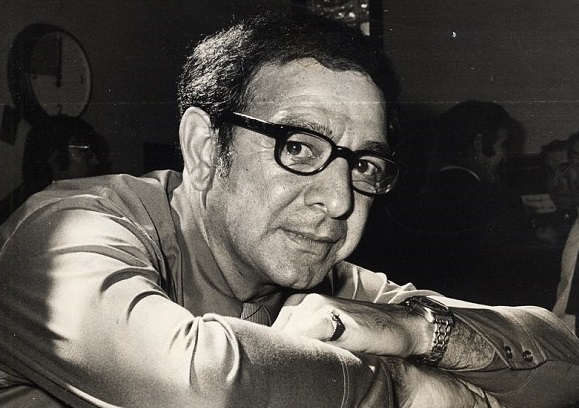 He was an ambassador for the sport, a popular figure who enjoyed the respect of everyone, from young prospects to champions, from fellow trainers to journalists and promoters — all regarded Angelo Dundee as boxing royalty. He will be long remembered and deeply missed.